Gorilla Post 48″ tall x 7″ diameter Bollard with its Rubber Base’s portable design and ergonomic carrying handle make it ideal for situations where temporary blocking is needed. 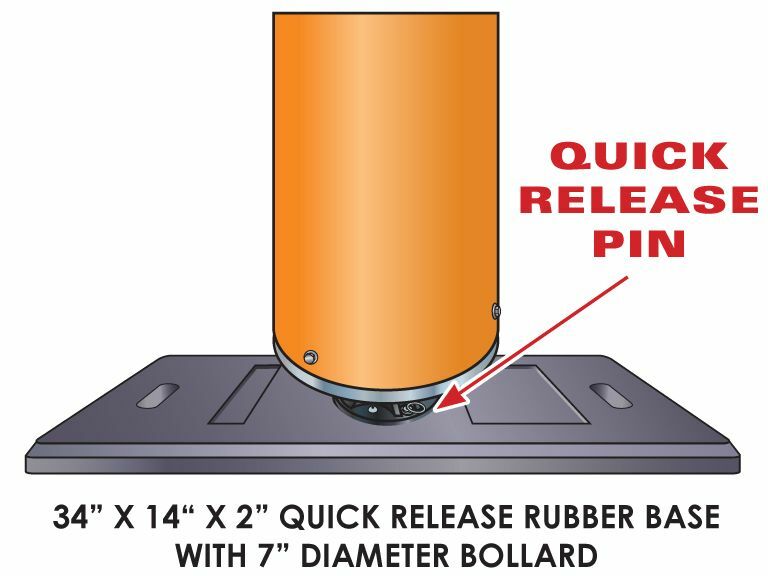 The Rubber Base is easily transported and perfect for temporary applications, weighing only 36 lbs. These durable bases can be used with any of the Gorilla Post QR products for post installation in less than 5 seconds.